Two of the world’s largest sailing yachts, Eos and Athena, will undergo major refits concurrently at Royal Huisman’s refit division. 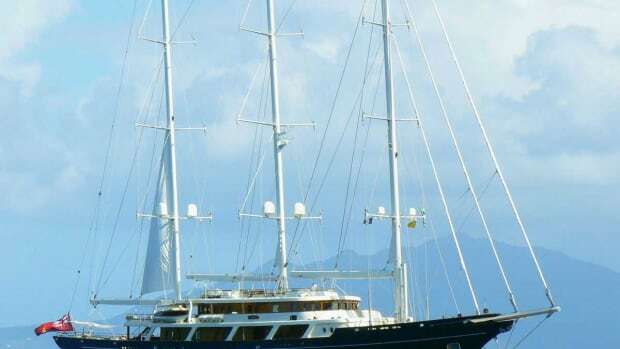 If you include the bowsprit, this three-master schooner is the world’s largest sailing yacht. 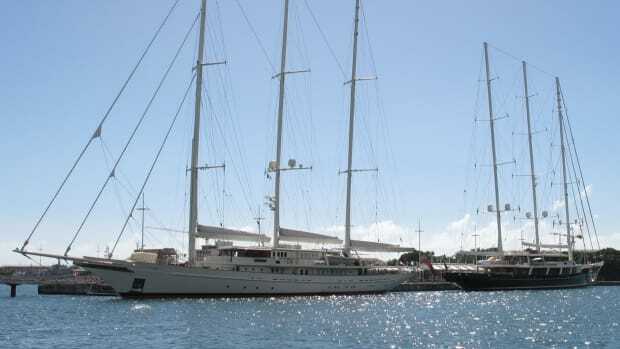 Eos hails from a shipyard not normally associated with sailing; German custom superyacht builder Lürssen only built one other sailing yacht, the 133’ Twirlybird in 1993.